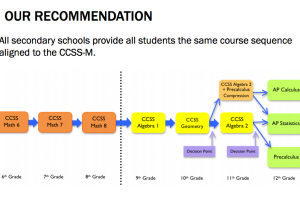 Recently, I’ve been listening to online dialogues of public school parents in our district related to the “accelerated algebra in middle school”/tracking debate, as well as conversations about the need to attract middle/class families. I wanted to share them with a wider audience in the hope of expanding the conversation, which at times feels a bit one-sided. This is one of several that I’ll be sharing over the coming week/s. 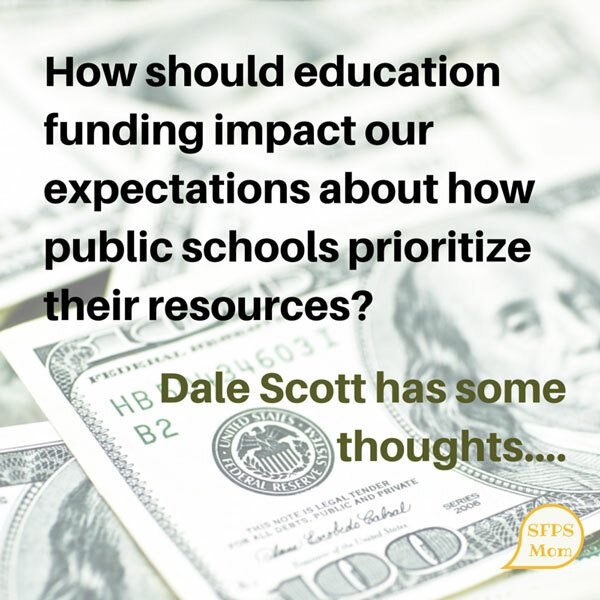 This guest post comes from Dale Scott, a fellow parent I connected with through Parents for Public Schools (PPS-SF). He is a native Californian educated in California public schools in the 70’s and 80’s, now a SFUSD parent with a son in 7th grade. 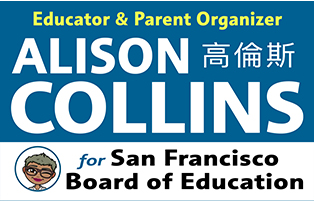 On a number of email discussions [on the PPS-SF list serve] lately (and for a long time), opinions have been voiced about the idea that the District isn’t adequately addressing the needs of high-performing students, and aren’t doing enough to prevent flight of middle/upper-class families to the suburbs and private schools. I’m not interested and don’t have the time to debate the issue, so, this will be more like throwing a bomb into the echo-chamber. But essentially I just want to offer a different perspective. Those who can hear it will, those who can’t, won’t, and either way, I’m not going to sweat it. Take it or leave it. I probably won’t respond to rebuttals, but I imagine this will spark some debate, and hopefully some thought and introspection. I’ll start first by pointing out that a lot of the recurrent complaints we read here on the PPS group wouldn’t be happening if public schools were adequately funded. Let us never forget that when we speak of allocation of resources, it’s almost always within the context of scarcity, primarily created by Proposition 13 and the conservative political agenda of undermining public schools. You want to address the real problem? Start there. What is the best policy when resources are scarce? Schools are charged with helping students meet a basic minimum standard. This is what they are measured against. A value also espoused is to provide every student with an academically challenging environment. But providing a challenge for every student is not the standard schools are measured by, and given the lack of resources both in terms of money and people-hours, it is not unreasonable for schools and the District to prioritize their efforts towards students who can’t meet the minimum standards. And if we step outside of that narrow context and look at the big societal picture, is better that public schools help a handful kids become Rhodes Scholars, while a huge number of students fail to meet basic educational standards? Of course not. That’s a huge turd in a tiny punchbowl. In times of scarcity, school districts should focus on the core mission that all students meet the basic minimum standards. That said, I support the effort to provide an academic challenge to all students, top to bottom. Each school should always make that effort; no category of students should be ignored outright. But let’s differentiate between what a student NEEDS, and what a parent WANTS for their child. We all want the best, the most and the greatest for our child. That is, however, a standard we cannot expect the SFUSD to meet for every child in all circumstances. As a parent, I want honors classes for my child. I want my exceptionally bright student to have the opportunity to go beyond the standards and be challenged to perform at the highest levels, and have a diverse educational experience that includes music, arts, and athletics. But to say my child “needs” honors classes, or band, or track & field, is bulls@!#. My kid needs the basics. I want more. And, there’s nothing wrong with wanting more. But let’s be clear that needs and wants are different things, and deserve different prioritization from the District in times of scarcity. What about attracting middle and upper-class families to the District? The District should consider that a low priority. Boom! There it is, you heard me right. Many of the factors that contribute to people’s decisions to leave are beyond the scope of the District’s ability to address. Some leave for fear of crime. Some leave because they believe the suburbs are a healthier environment for kids, or that San Francisco isn’t a family friendly city. It’s hard to quantify exactly what number of students leave the District for reasons that the District could even address. But assuming they could do a better job by providing more differentiated learning opportunities that might be attractive to those families going to private or outside schools, how effective would that be? Let’s keep in mind that we’re largely talking about families with the means to shell out fairly significant amounts of cash to provide their child with a private-school education, or have enough money to buy a home in an expensive, high-demand school district outside of the City. These are parents who WANT more for their kids, and are willing and able to pay for it. As we know, each child/family is different, and no school is perfect – but some schools are a great fit for some students/families, and some are not. How can the District compete when those with economic means have the ability to attend any school they want in the greater Bay Area? 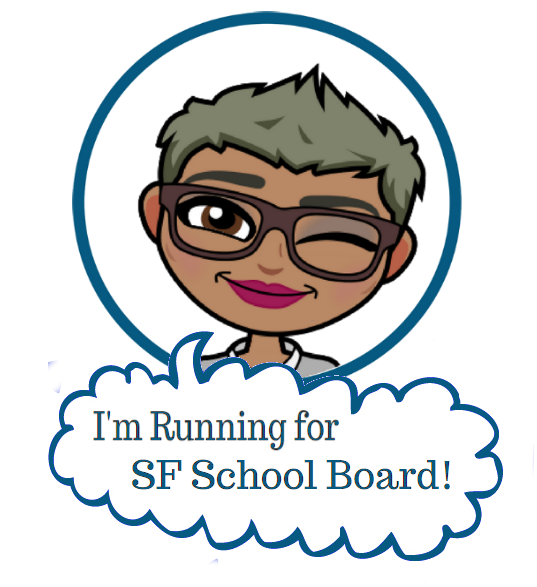 There will almost always be the allure of a school somewhere else that appears to be a better fit, and, with no guarantees that one will get their child into the ideal SFUSD school that actually is a fit, many well-to-do families rationally choose the more reliable option of private or outside schools. In times of limited resources, the SFUSD can’t beat that. Does that mean the District shouldn’t strive to attract those families? No, I’m not saying that. But what I am saying is that SFUSD has bigger fish to fry than the impossible task of catering to the gripes and demands of those who have the means to take care of themselves, when so many other students who don’t have the means and don’t have the advocates, aren’t doing well. SFUSD’s moral obligation is weighted far more to those disadvantaged students than it is to those who are already doing just fine. To those who want the District to do more, I’d suggest focusing your efforts on changing the way schools in California are funded, so that competition for resources between the haves and the have-nots is no longer an issue. Dale’s piece is a great reminder of needs vs wants. 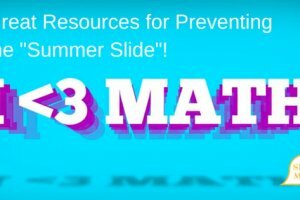 I have heard some parents who advocate for math tracking threaten to leave the system, or throw their hands up exclaiming they have to hire a tutor. These options are not available for low-income kids. “What we do at school is often all they get. So as a public school, the district’s priorities should reflect the needs of all our students, and put more effort into students who come to school with more needs and fewer other options. Instead of arguing about how to slice up the pie for high vs. low achieving students, maybe we should be spending our energy fighting for an even bigger pie? Does any of this make sense to you? What other thoughts do you have? Please share them in the comments below!